According to Applidium, Developers have finally cracked Siri’s security protocols which will make it possible to use the “personal assistant” on any device including the iPad or even an Android-powered smartphone. The iPhone 4S really sends raw audio data. It’s compressed using the Speex audio codec, which makes sense as it’s a codec specifically tailored for VoIP. The iPhone 4S sends identifiers everywhere. So if you want to use Siri on another device, you still need the identifier of at least one iPhone 4S. Of course we’re not publishing ours, but it’s very easy to retrieve one using the tools we’ve written. Of course Apple could blacklist an identifier, but as long as you’re keeping it for personal use, that should be alright! The protocol is actually very, very chatty. Your iPhone sends a tons of things to Apple’s servers. And those servers reply an incredible amount of informations. For example, when you’re using text-to-speech, Apple’s server even reply a confidence score and the timestamp of each word. Not only has the team cracked the protocol, but they have also posted the tools that they used to do it on their website. 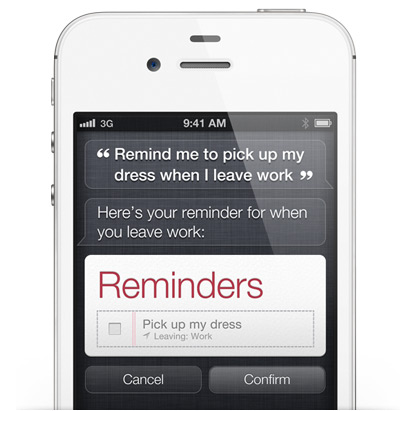 The tools on their site can be used by developers to implement Siri in third-party applications. It’s only a matter of time before we see what those developers can do with the tools and information given. Apple won’t be too happy.